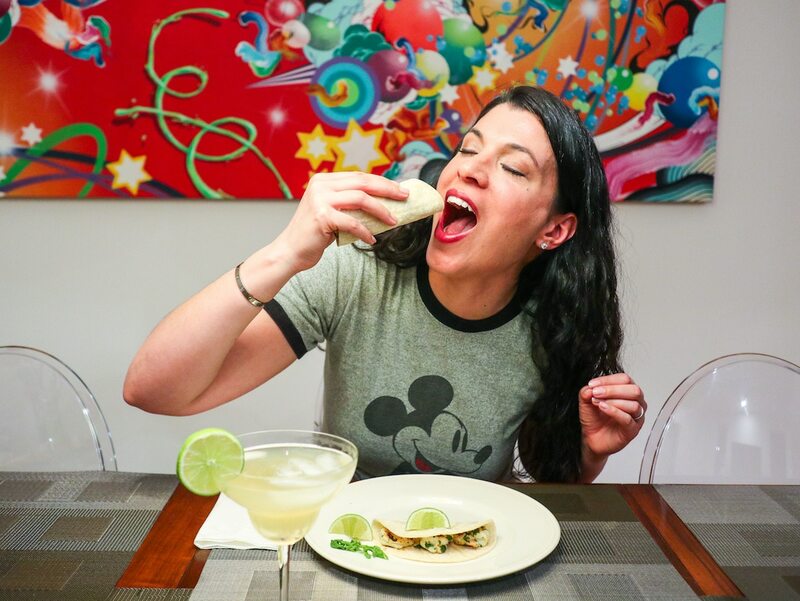 Today I’m sharing my recipe for Shrimp Tacos. This has been a go-to spring and summer dinner recipe in my house for over 10 years. It’s simple, easy to make and full of flavor. You can easily pair it with black beans, my Mexican rice and my Mexican corn to complete the meal. I like to use either the outdoor grill with a grill basket or an indoor cast iron grill. I hope you enjoy this recipe as much as we do! -Clean and devein shrimp, if needed. -Toss the shrimp together with the olive oil, cumin, red pepper flakes, cilantro, lime juice and salt. -Preheat your grill to medium-high heat. I like to use an indoor cast iron grill pan. -Grill until cooked through, about 2 minutes a side. 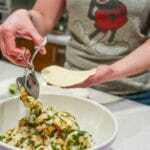 -To serve, heat the tortillas, you can wrap them in damp paper towels and microwave for 30-60 seconds. 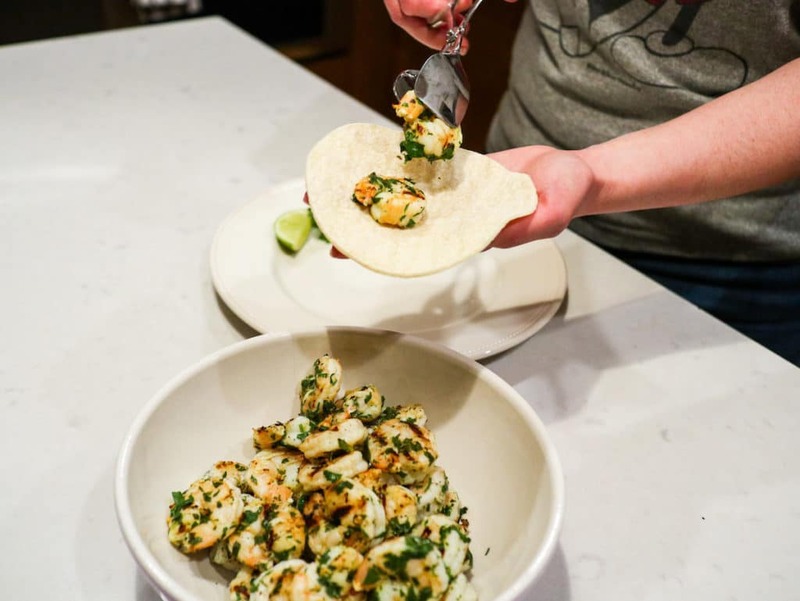 Pile a few shrimp on top of each tortilla and serve with guacamole, and a little of the crumbled cheese.